The skin is the largest organ of the body. 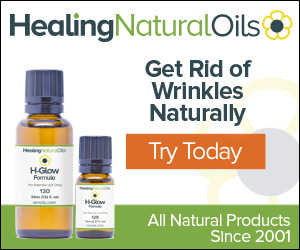 There are many ways oils can be applied to the skin, This article describes eight of those ways: compresses, sprays or spritzers, mouthwashes and gargles, baths, topical application, salves, creams and gels. 1. Hot or cold compresses are easy to use. Simply pour about one quart of the desired temperature of water into a small basin. Add 5-7 drops of the selected essential oil, then swish the oil into the water. Dip a cotton washcloth into the water, swish it around to collect the oils, wring it out, and place the cloth on the body. This is generally left in place for 15 minutes or until the temperature is no longer effective. An example of a cold compress would be to use spearmint drops in cool water and placing the compress on the throat for relief of laryngitis. A warm compress, using geranium drops, could give relief of menstrual cramps. Be certain to use therapeutic grade medicinal quality essential oils. Recreational grade oils will probably not give the desired therapeutic effect. 2. Sprays and spritzers are fun to use. This is one of my favorite ways to apply essential oils. Simply fill a small, spray-topped, bottle with distilled water, and add the selected essential oil to the water. A good gauge is 10-15 drops of oil into four ounces of distilled water. Since oil and water do not mix, it is important to remember to shake the bottle before spraying. Once prepared, it can be sprayed onto the affected area of the skin three to four times a day. An example would be to add 3 drops of therapeutic grade lavender, 3 drops of cypress, and 2 drops of peppermint to two ounces of Witch Hazel solution or distilled water. This formula is good for relief of itching. Sprays and spritzers are also excellent for dispersing essential oils into the air. 3. Mouthwashes and gargles can easily be made. Add 1-2 drops of the selected essential oil to a cup of distilled water. Mix well and use as a mouthwash or gargle. An example would be to add 3-4 drops of Tea Tree oil to a cup of distilled water or vinegar for use at the first sign of a sore throat. 4. Baths are a favorite way to use essential oils on the skin. A few drops of selected essential oils can be added directly to the bath, but it is important to swish them around very well; otherwise they will float on top of the water and could be irritating to sensitive areas of the skin. They can also leave a film in the bathtub. Adding essential oils to a dispersing agent will prevent this problem. This is why essential oils are first added to bath salts. Another good dispersing agent is milk. Simply add a few drops of the selected oil to a cup or so of milk, and then swish the milk around in the bath water. A popular uses of baths is for relaxation, An example would be to add bath salts or gels containing lavender to the bath. 5. Foot, hand and sitz baths are also very good ways to use essential oils. A good gauge for these smaller amounts of water is 5-7 drops of selected essential oils into the dispersing agent, adding the dispersing agent to about a quart of water. An example of hand bath could be using an arthritic formula for relief of pain. Foot baths are good for treating fungus infections on the feet, and sitz baths are great for obtaining relief of hemorrhoid pain. Check with your aromatherapist for a formula specific for your needs, and for recommendations as to the appropriate temperature. 6. Topical Application is the most used method of application. Essential oils should be applied directly (neat) to the skin only under the specific guidance of a qualified aromatherapist. Most essential oils should first be added to a carrier oil before applying directly to the skin. An example of topical application is massage. Many massage therapists add essential oils to the oils they use for massage. For example, they may add a lavender drops to their massage oil to aid in relaxation. There are several carrier oils that are beneficial to the skin, and can be used in conjunction with essential oils. A good gauge is 15 drops of the selected essential oil per ounce of carrier oil. This is a 2.5 % solution. 7. Salves are used when a thicker solution is needed for topical application. A quick way to make a salve is to add the selected essential oils it to an unscented lotion or cream. Salves are useful in treating muscular aches, respiratory problems and skin conditions. Then the salve can then be applied to the affected area. The gauge is 15 drops of essential oil per ounce of cream or salve. 8. Cream and gels are similar to salves, and also good ways to apply essential oils to the skin. Again, the gauge is around 15 drops of essential oil per ounce of cream or gel. Check with your aromatherapist as to which essential oils are best suited for your specific needs.